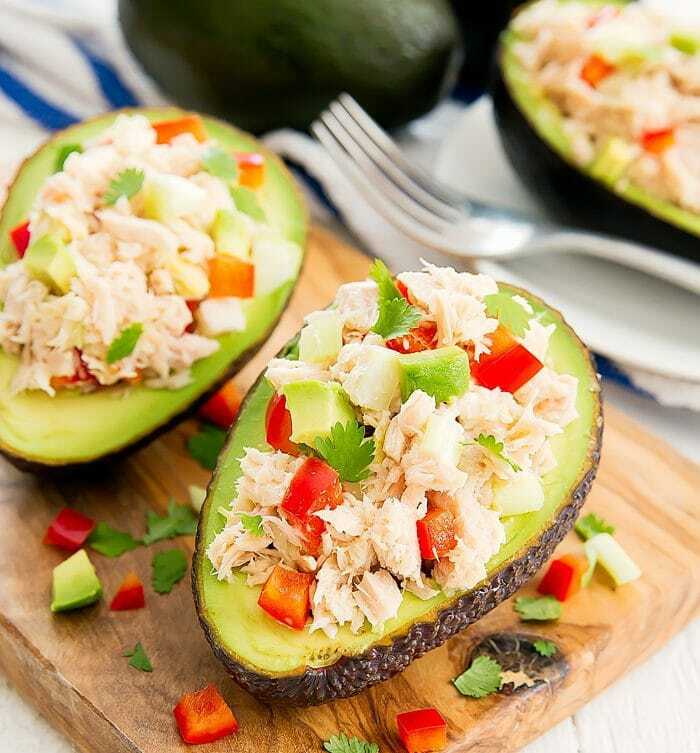 Avocado tuna salad is stuffed inside avocados for a fun, healthy and easy meal. One of my favorite lunches is tuna salad with avocado. 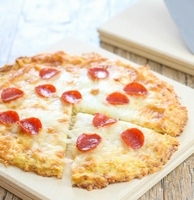 I’d eat it everyday if it wasn’t for the fact that we aren’t supposed to consume more than 1-2 cans a week. The avocado is so creamy that it can replace some or all of the mayonnaise usually used in tuna salad. Stuffing them in these avocados not only makes for a fun presentation, but it also ensures that you can get even more avocado with each spoonful. It’s best to use fairly ripe avocados. I carved out about half the flesh from each half, leaving enough so that you can get spoonfuls of avocado when you dig in. 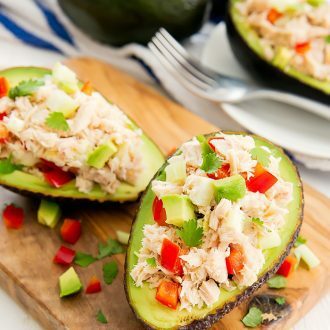 The carved out avocado gets mixed with the tuna. 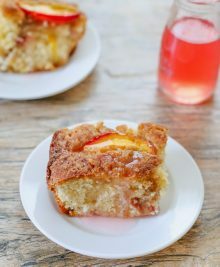 I made these for a simple lunch but I can see them being great for a brunch or lunch party too, especially now that it’s avocado season again! 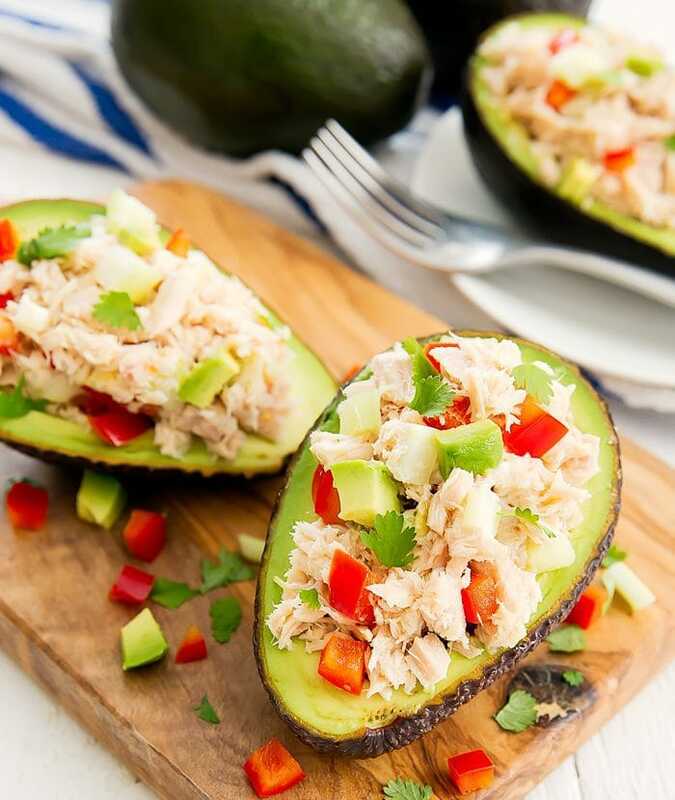 Tuna salad is stuffed into avocado halves for a fun and healthy meal. Slice avocados in half, lengthwise and remove pits. Scoop out about half of the flesh from each half. Dice the carved out flesh and place in a bowl with tuna, mayonnaise, bell pepper, celery and lemon juice. Mix to combine. Add salt and pepper as needed. 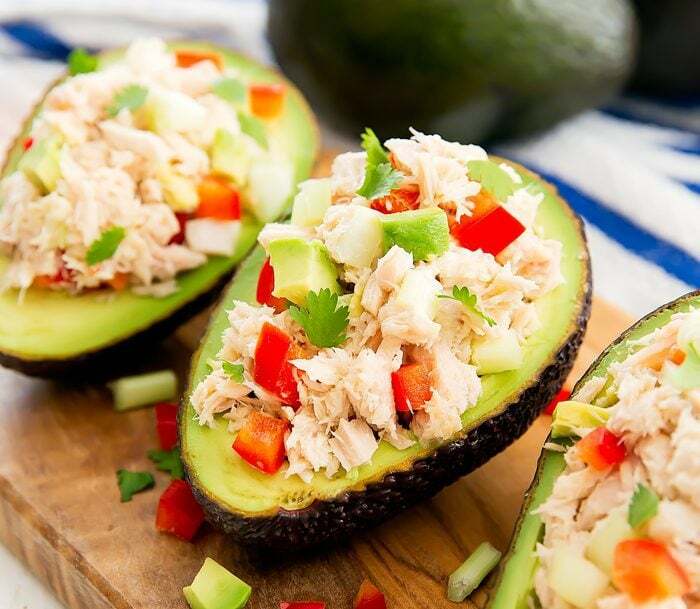 Stuff tuna into avocado halves. Sprinkle with cilantro. 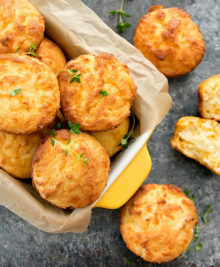 Refrigerate for a few hours or serve immediately.